This week's real food abc was about that wonderful chocolate hazelnut spread. If you missed it, I found some great versions that you can buy that are not filled with scary ingredients. However, some of you may want to try to make it yourself from scratch. 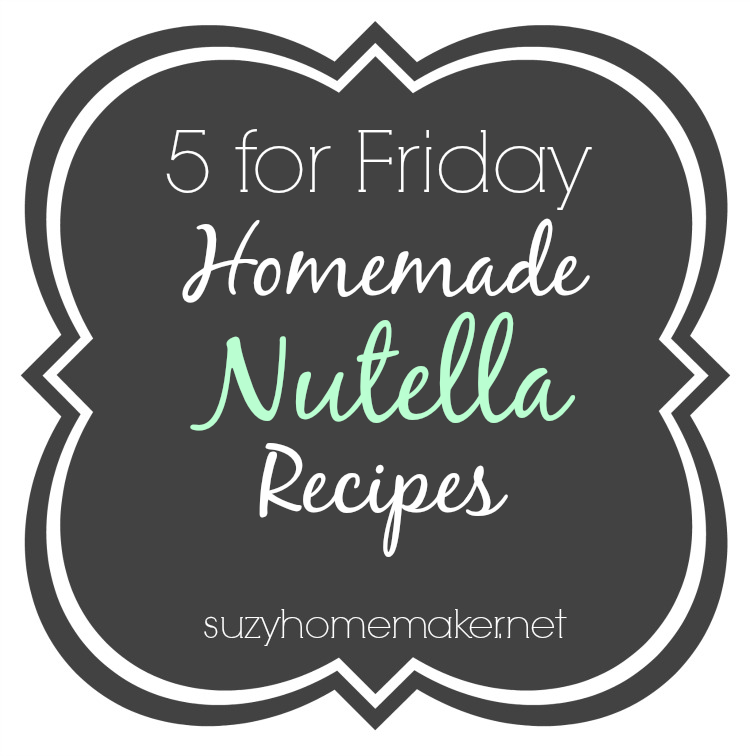 So here are 5 homemade nutella recipes. From reclaiming provincial - Homemade Nutella - I love the story behind how she decided to create this recipe. From Minimalist baker - Homemade Vegan Nutella - Only 5 ingredients in this vegan version. From The Coconut Mama - Homemade Nutella - Here is another way to incorporate more coconut oil in your diet. From Pastry Chef Online - Shewtella - This version is made with cashews instead of hazelnuts. From The Nourished Caveman - Homemade Nutella - This version uses organic cultured butter! So will you buy or make?